No need to go under the knife! 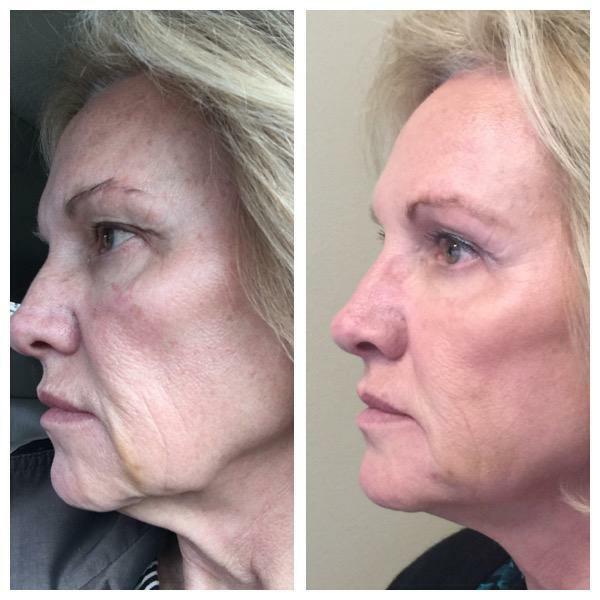 NovaThreads is the Face-Lift alternative! It can fill wrinkles and slightly lift the skin. Additionally, as a result of the PDO being absorbed, the skin naturally produces collagen. A beautiful and healthy face has a "V-shape". With the aging of tissues and the action of gravity, this "V-shape" gets lost. The idea behind the Nova-Mesh and the Nova-Lift technique is to either create a scaffolding in order to support the tissues and keep them in the "V-shape", or where necessary, to delicately Lift the tissues and reposition the skin to recreate the "V-shape" where it’s been lost. You’re not old, but your face has started to fall. You may or may not need fillers, but one thing you know for sure is that you want to do something about the sagging of the skin on your face. Enter the ThreadLift. Get the lift you want without the surgery you don’t want. Use NovaThreads instead. 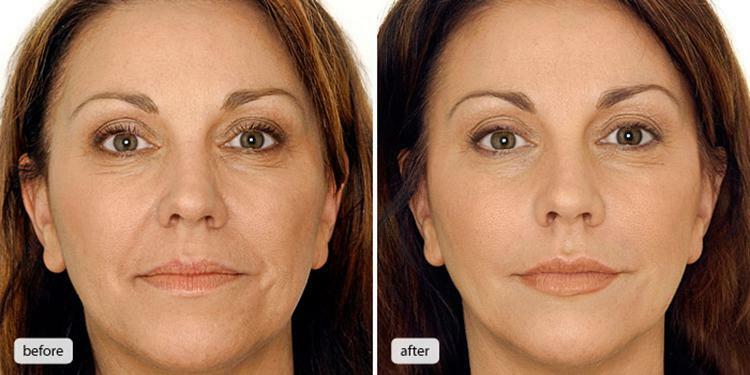 NovaThreads provide an excellent solution to mild skin laxity. Although age is not a factor in determining who will get a good outcome, patients who are older have lowered ability to produce new collagen. Excessive jowling and heavy sagging are not well-treated with absorbable sutures as there is too much weight for the delicate threads to hold and too much tissue to reposition. The suture threads are inserted into the lower plane of your skin in particular configurations. The threads create a lift or mesh effect to lift or tighten. (You can do both!) Your body naturally reacts to the threads by creating new collagen. 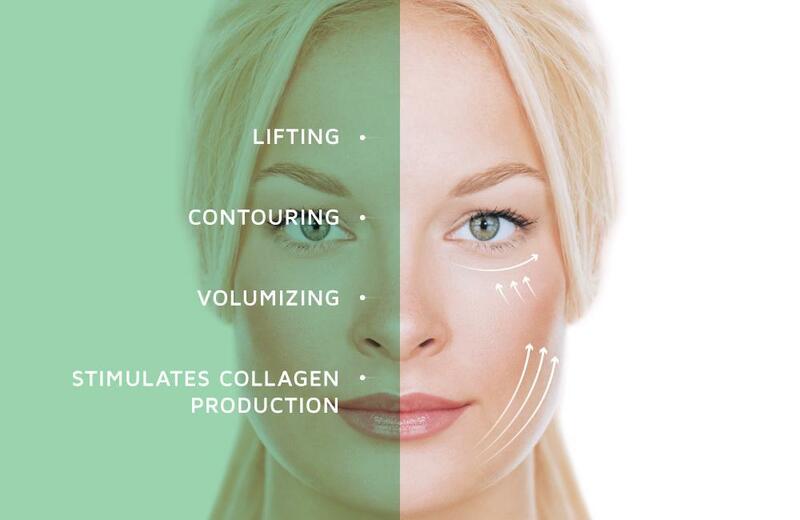 Your own new collagen maintains the improvement. Expect about a year. Initially you may need a few touch-up thread insertions. Because your skin continues to age, you will continue to experience natural collagen breakdown. They are PDO absorbable sutures preloaded into delivery syringes. -PDO absorbable suture? What is it? 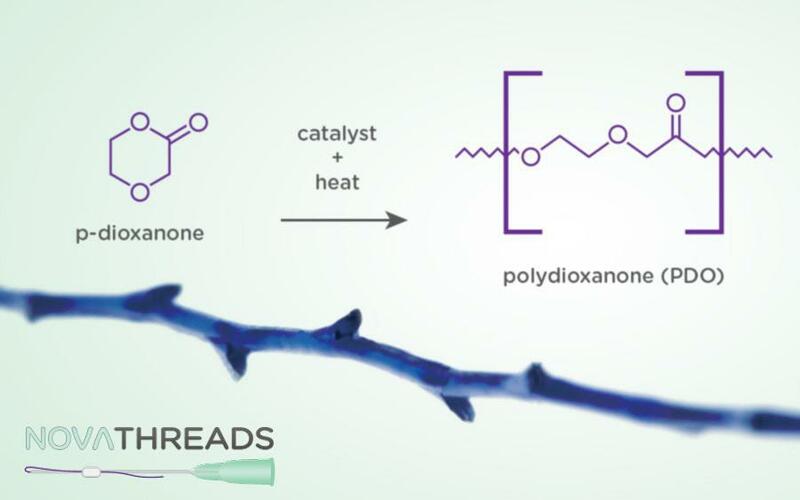 It’s a synthetic absorbable surgical suture composed of polydioxanone. PDO sutures are completely safe and are routinely used in surgery, even in cardiothoracic surgery (such as open-heart surgery). It’s one of the safest materials that can be implanted in the body. The fine suture thread is absorbed within 4 to 6 months and won’t leave you with any scar tissue.